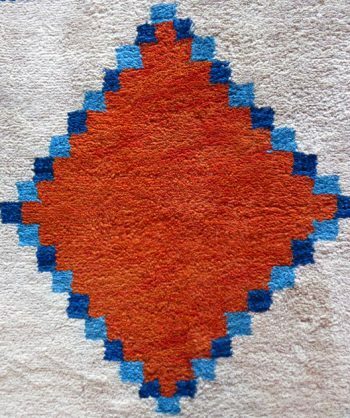 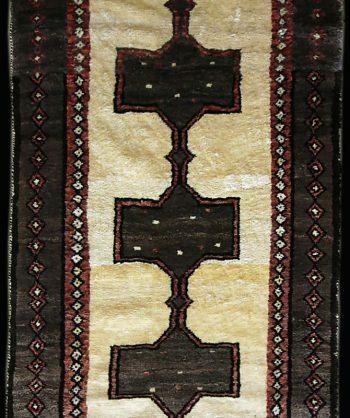 The word “Gabbeh” literally translates to “in the rough,” and it is an accurate description of this style of Persian rug. 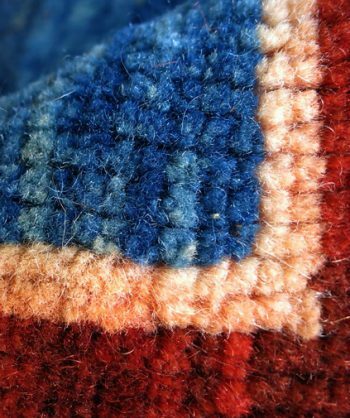 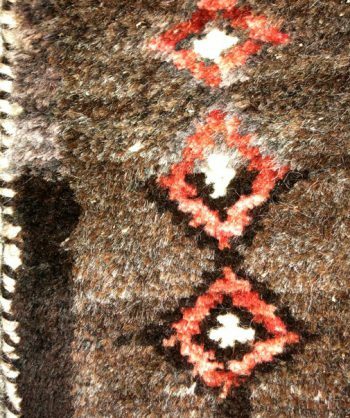 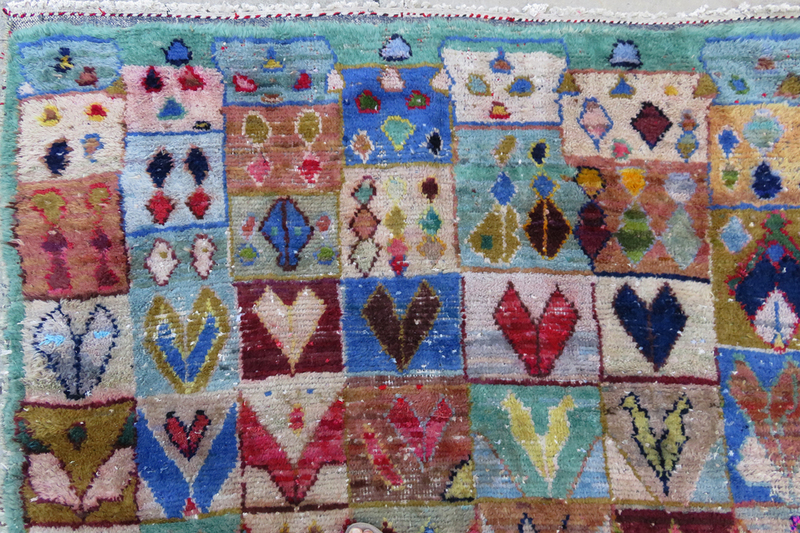 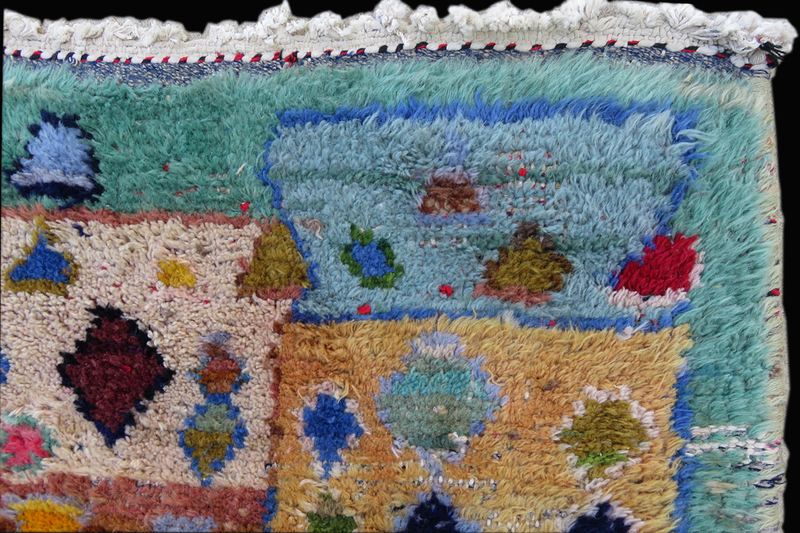 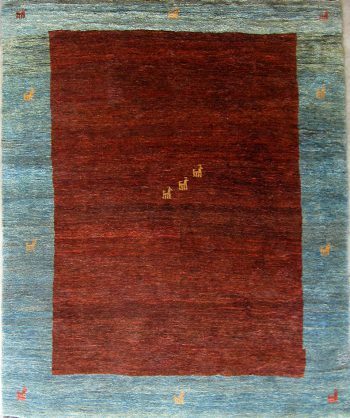 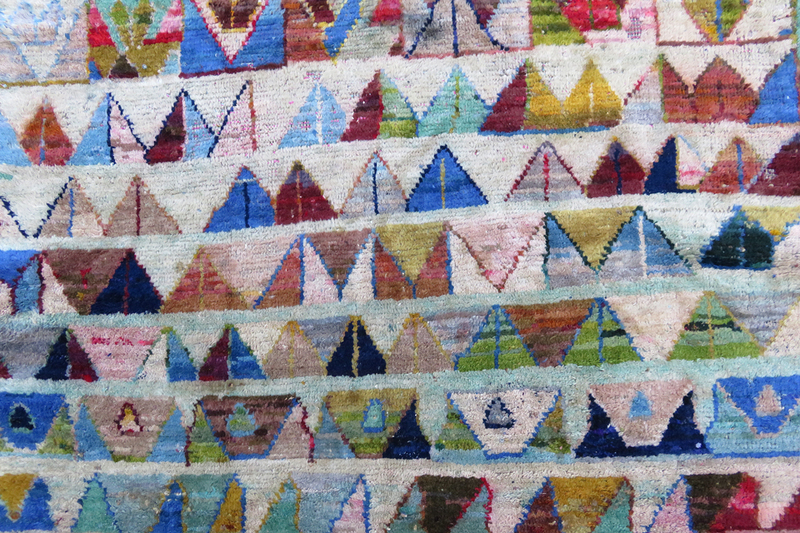 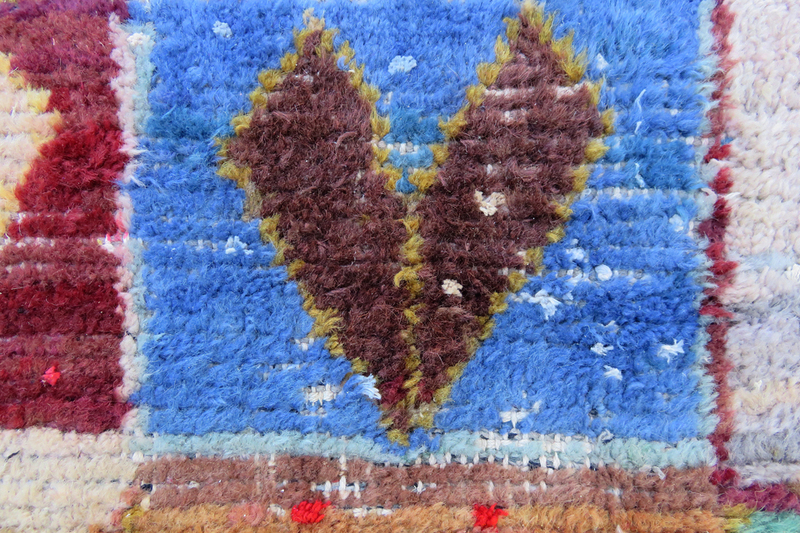 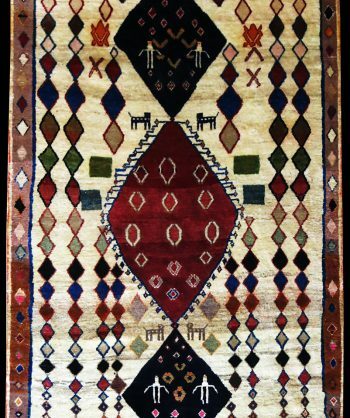 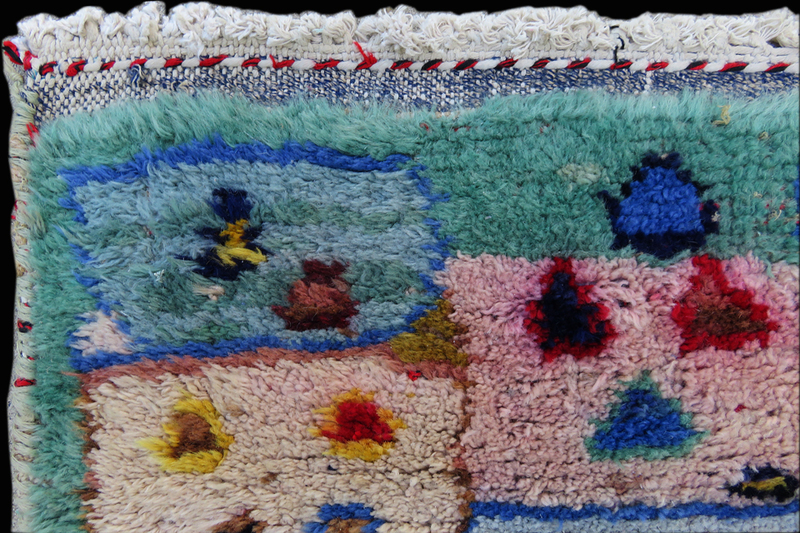 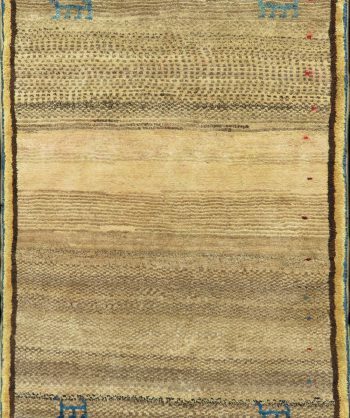 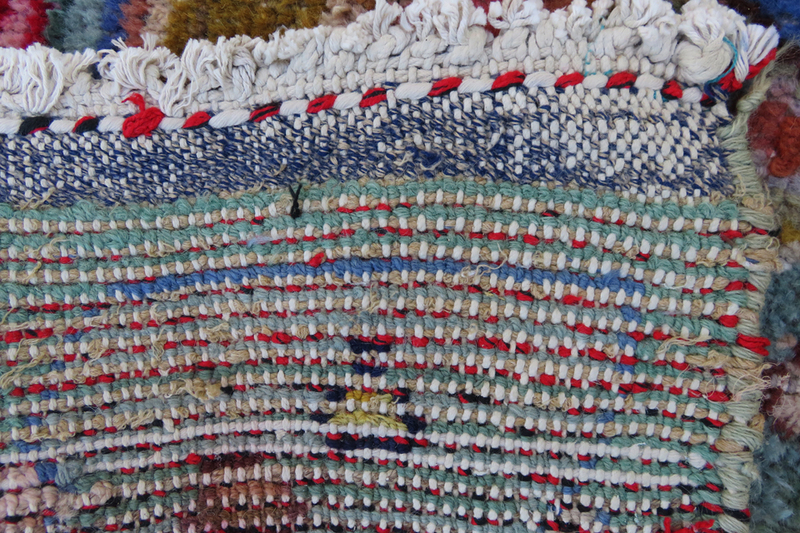 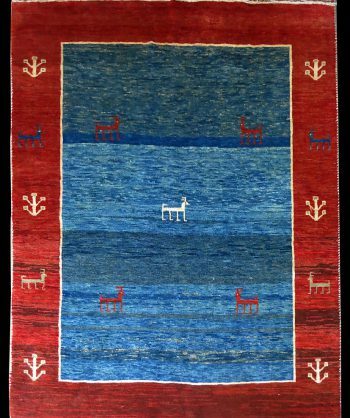 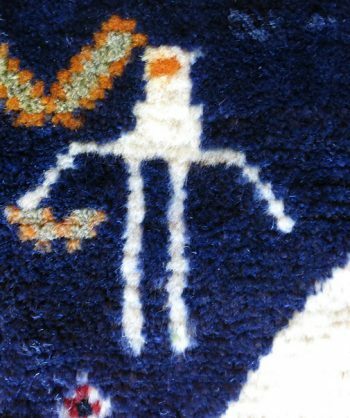 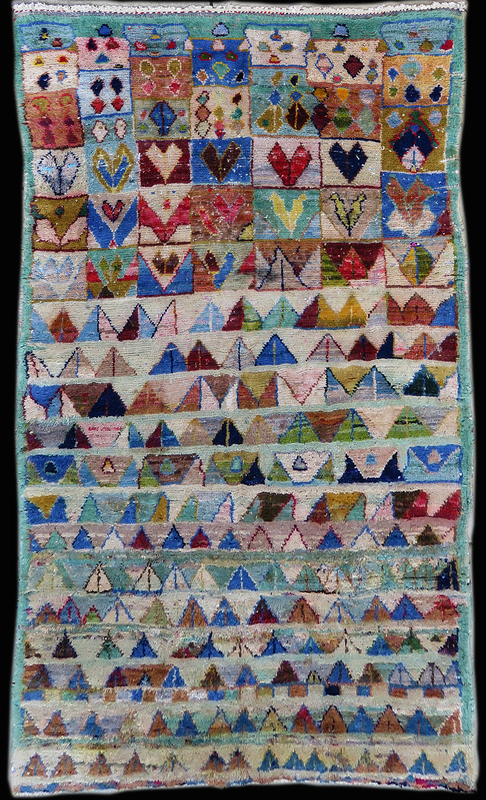 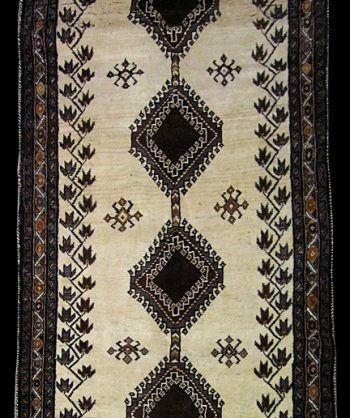 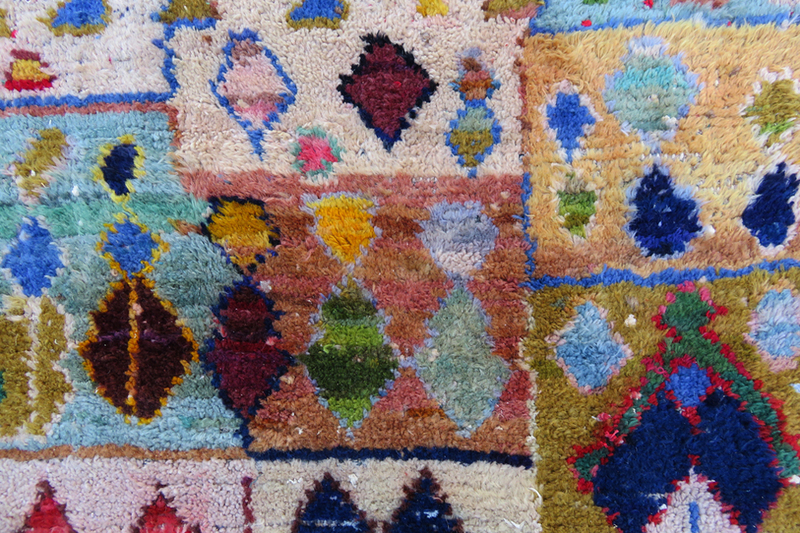 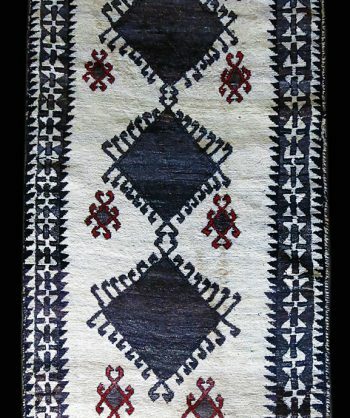 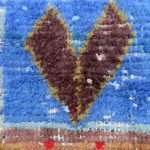 Gabbeh carpets are woven on makeshift ground looms constructed both of materials that are kept and hauled for long distances by the nomadic tribal, and also of materials that are found at each site where the tribe sets up camp. 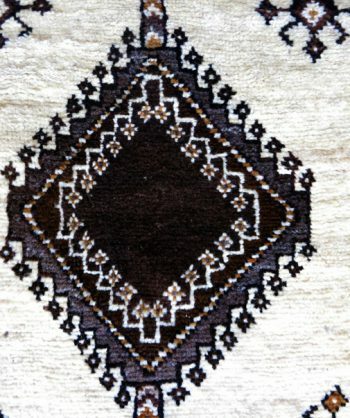 Due to the fact that part of the loom must be found at each site, a wide variety is introduced. 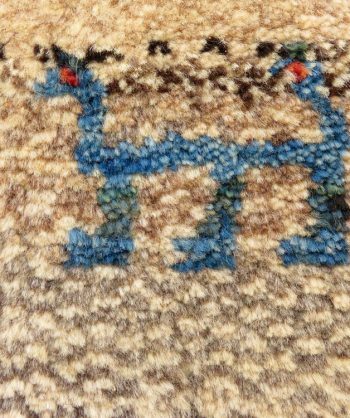 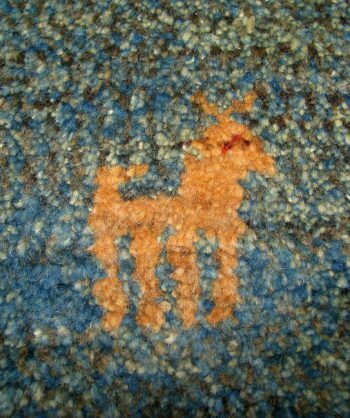 Thus, these rugs are usually somewhat irregular in shape. 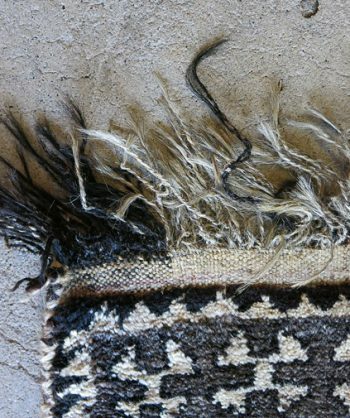 But, for what they lack in perfectly uniform shape they more than make up for in character, durability and uniqueness.This Gabbeh is an antique that could be over 100 years old! 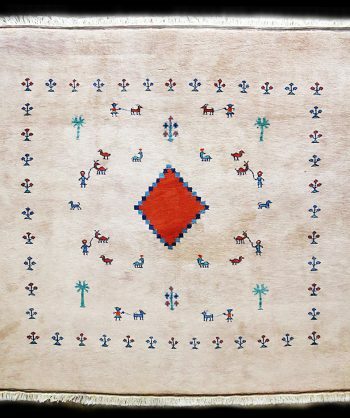 It would look amazing hanging on a wall!